Now accepting table reservations for The Ainsworth, The Hill and 121 Fulton Street. 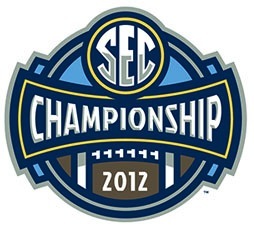 The Crimson Tide grapples with Georgia for Southeastern Conference supremacy in the 2012 SEC Football Championship Game on Saturday, December 1 at 4 p.m. on CBS. Join Alabama alumni in the Greater New York City area at The Ainsworth, The Hill and 121 Fulton Street. 121 Fulton Street joins our lineup this year after successful debuts with UANYC last season. Located between Nassau and William streets, 121 Fulton Street is the first gastropub in the Financial District and will have the same specials, music and great Alabama atmosphere as The Ainsworth and The Hill. With the addition of 121 Fulton Street to The Ainsworth and The Hill, there will be no better places to watch this game. To reserve a table at The Ainsworth, The Hill or 121 Fulton Street, send an e-mail to alabamanyc@gmail.com starting Sunday, November 25 through Wednesday, November 28. Requests from dues-paying chapter members and those received by Wednesday are given priority for table reservations. In your request, provide the number of guests (minimum of four), preferred location, cell phone number and the name you would like on the reservation. When sending your reservation request, make sure to list your top two bars in order of preference. Confirmations will be sent out Friday. We will do our best to accommodate everyone, with dues-paying chapter members given priority. Reservations are not required. A limited number of tables and the bar areas will be available for open seating on game days at The Ainsworth, The Hill and 121 Fulton Street. Rigo Flores and Scottie Rodgers (at The Ainsworth), Kimberly Ahearn and Elise Zieman (at The Hill) and Rebecca Mummert and Ann Taylor Shaw (at 121 Fulton Street) will be our game captains. Our game captains will be on hand to welcome you and offer any guidance to help make sure your game watch experience is the best it can be.